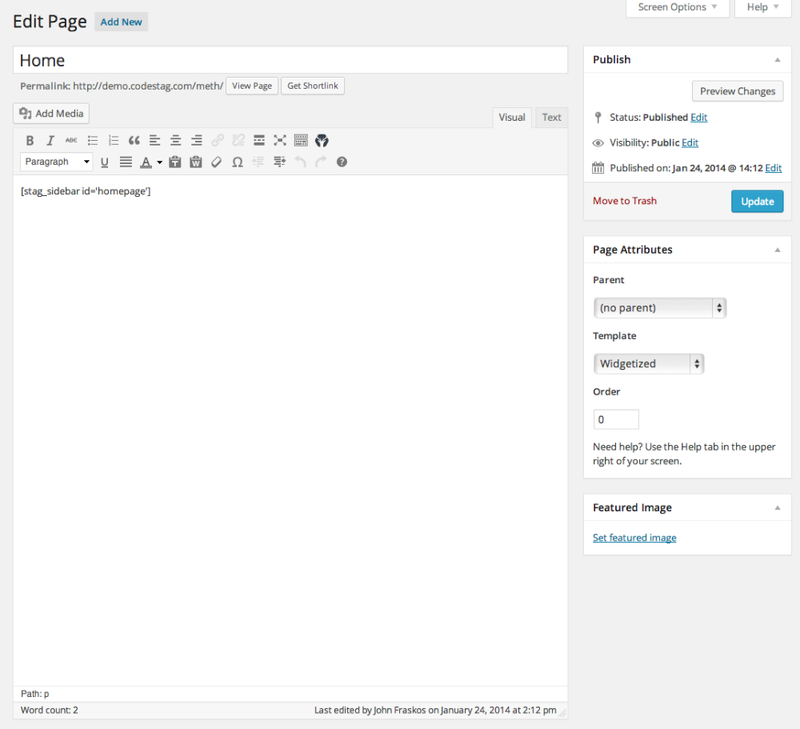 So far we have defined that the homepage of our site will be a widgetized page named “Home”. Now the next step is to create a widget area, and decide which widgets we will use. Let’s go to Appearance>Widgets and create a Custom widget area through the panel below. Let’s give it a name like “Homepage”. Hit the “Add Widget Area button” and a new widget panel will appear. Note that this new widget panel has a shortcode. 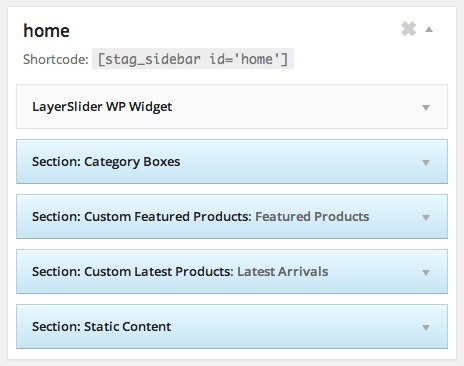 Great, now we just need to define which of the custom widgets (sections) we need at the homepage. For the demo, we have used a widget selection as shown below. Please refer to the Custom Widgets section of this documentation, to find out what each of the widgets does, and how to set them properly.